At the dawn of the hobby of roleplaying in the 1970s, there were no Internet forums or blogs through which gamers could communicate with one another. Rather it was through fanzines and amateur press associations, such as Alarums and Excursions and The Wild Hunt, that the earliest gamers shared their ideas and contributed to the growth and development of the hobby. These 'zines and APAs were all amateur efforts, but they embodied a spirit of wild inventiveness and brash disregard for commercial viability that fostered the creation of new roleplaying games, not to mention launched the careers of many writers and designers. They were the crucibles from which the hobby as we know it today sprang. The 1980s saw a great many fanzines and APAs die off, with professional magazines like Dragon and White Dwarf becoming far more important vehicles for communication between gamers. The rise of the internet in the 1990s changed this dynamic again, as Usenet newsgroups, ftp sites, and webpages made it very easy for roleplayers to share, critique, and argue with one another without being mediated through official organs of professional game companies, many of which, most notably TSR, publisher of the first RPG, Dungeons & Dragons, had a vested interest in keeping a tight rein on what was made available freely on the internet. In 1994, TSR promulgated a draconian web policy that resulted in a popular D&D ftp site at Stanford University being shut down for copyright and trademark violations. This led to much controversy and had a chilling effect on efforts to post RPG-related materials on the internet. TSR's policy eventually loosened, becoming more fan-friendly, particularly after Wizards of the Coast purchased the company in 1997. As a result, many new sites sprang up, including one called Dragonsfoot. Dragonsfoot began its existence in 1999 as the private website of a group of gamers in Salisbury, England. 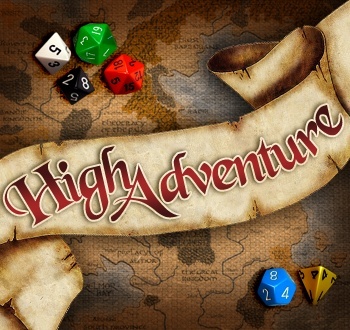 Initially, its founders, Mark O'Reilly, Steve Yates, and Ryan Coombes, intended the site to be a repository of materials created for their own AD&D campaigns. Due to the quality of the material they produced, the site attracted many more visitors than they ever expected, accumulating over 500,000 hits by 2000 and laying the groundwork for the great influence the site would one day exert. The year 2000 also marked the release of the Third Edition of Dungeons & Dragons by Wizards of the Coast. This release had two long-lasting effects on the hobby. First, the previous two editions of the game, both which carried the "Advanced" moniker and whose rules were largely compatible with one another, were now officially superseded. Second, and more importantly, Third Edition was released in conjunction with the Open Game License (or OGL). The OGL was the brainchild of then-WotC vice president Ryan Dancey and was modeled on the various open source licenses used in the software industry. The OGL gave third party publishers access to a System Reference Document (SRD), which included the basic rules and elements of D&D, such as classes, monsters, spells, and magic items, enabling the creation of legal support products for the game.